There are days when I feel like eating a light but simple meal. A no fuss meal to cook is always a big welcome on a busy day, especially when I have to post an article, complete projects, and respond to my attention grabbing son who likes to go for walks by the river and play in the water. These days I have been very busy and I feel guilty that I have not taken my two year old son for a hair cut yet. These days he is in desperate need of one. His curls are getting uncontrollable now. Nevertheless, one meal that guarantees little fuss, yet could be classified as an attractive plate according to our standards is a “Mixed Rice”. Mixed rice is a versatile dish because everyone can add their own signature to the dish. So I always enjoy cooking it. You have the option to add ochro (okra), split peas, salt fish or chicken, pig tail, some smoked meat, or bhagi (Spinach or dasheen bush). So you could cook this one when you have limited ingredients at home, at a beach house, or even at a river lime (although that’s hardly likely ha ha). And for you busy mothers this is a plus. My son loves this dish, and he is one of those picky eaters. Yesterday, he would eat food, today all at once he would only want liquids, and tomorrow he may only want fruits. Every day is a surprise with him. But with this “mixed rice” he always eats it. Besides, you could upgrade this meal. Why not add some spicy barbecue chicken, callaloo, green salad, and cucumbers to it? Now, it would be what we call a Sunday Lunch and the whole family would have double enjoyment. Just be careful with the serving size of your meals please, especially if you’re Trinidadian. We Trinidadians have a bad habit of over estimating serving sizes. I myself may need some help in this category. 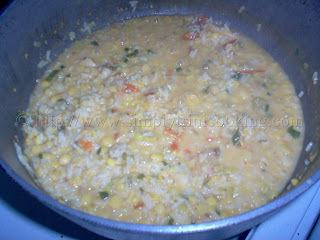 Anyway, today I put split peas, some ochroes (okras, lady’s fingers), and salt fish in this rice dish. 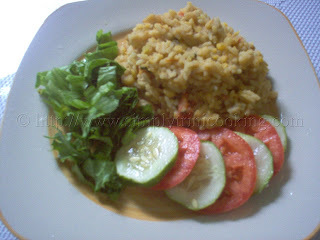 It would therefore be called split peas rice because the main ingredient in this dish is split peas. If it had more ochroes it would be called Ochro Rice, and so on…. enjoy! In a deep heavy pot cook the onion and garlic in the oil until golden brown. 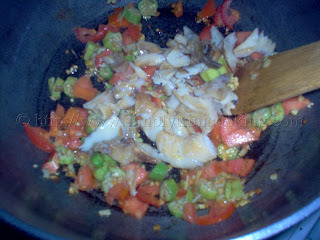 Then add the ochro and cook until tender. 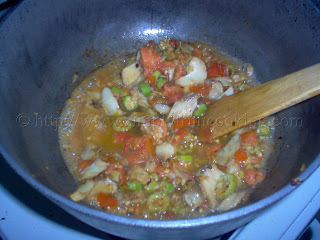 Add the tomatoes and saltfish. Cook for about 2 minutes. 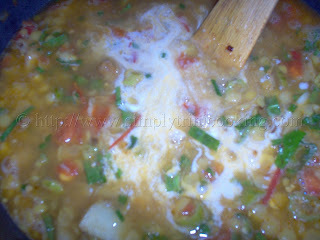 Add some water and stir often so the ingredients don’t stick to the pot. Then add the split peas. Pour some more water and cook for about 5 minutes. 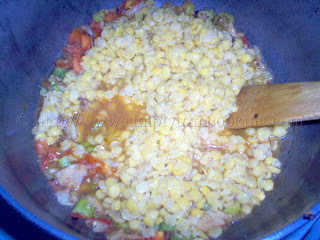 Add all the seasonings, peppers and tomato paste to the broth. Pour the coconut milk and mix. Add the rice and more water to cover all the ingredients. 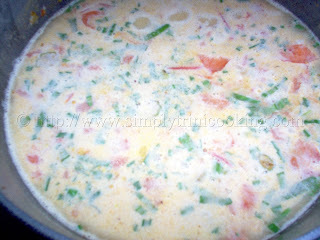 Cover the pot and leave for about 15 minutes to simmer. Uncover the pot and stir the rice often to ensure that the rice don’t stick. A little more water may have to be added if rice needs to cook a little bit more. 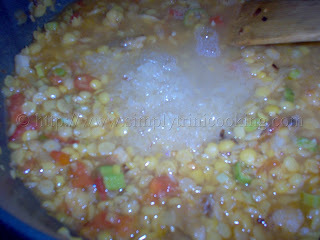 When most of the water has evaporated and the rice is tender remove and cool before serving. this almost has the makings of pelau. yum! 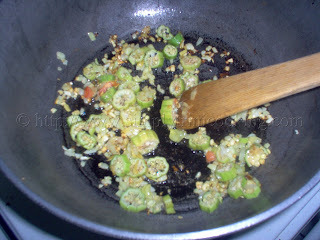 nice gonna make this tom felix but used up all my ochroes in the calaloo today. do u think it can still taste good? Well, I think the ochro helps give this dish its yummy taste. 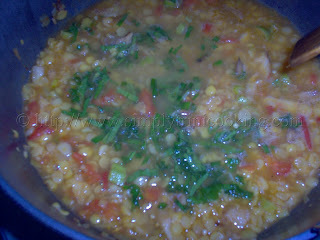 If you leave it out the taste is not compromise much, but the texture might be different (keep this in mind). However, you have got to try it with ochro.